SyncDog announces its latest version 4.1, featured on the new iPhone XR, with live demonstrations at SPTechCon Austin, February 10-13. Reston, VA, February 8, 2019– Your EMM isn’t enough! Let SyncDog show you how to make BYOD a success again without the overreaching device profiles mandated by EMM solutions! SyncDog, Inc. the leading ISV for mobile application security, today announced the latest release of Secure.Systems™ version 4.1 which includes security enhancements to the mobile app container with additional auditing capabilities, a new file management app. and numerous additional productivity applications that enable mobile workers to get the job done. SyncDog will be holding product demonstrations of Secure.Systems™ at SPTechCon (The SharePoint and Office365 Conference), Orlando, February 10-13, in booth number 600 during expo hall hours. Don’t miss Josh Konowe’s discussion on SyncDog at the Lightning Talk on Monday 2/11. The Lightning Talks will take place right after the Keynote on stage in the exhibit hall. The easiest way to adhere to the mobility requirements of GDPR, 800-171 and other strict regulatory mandates is to simply not allow employees to use their personal devices to access Secret, Proprietary, CUI and other sensitive data – or really any work related data, correct? Well not any longer! If you are like most companies, your employees do not want to be forced to carry one device for work and a separate device for personal use. Additionally, the costs to acquire, distribute, maintain and recoup corporate owned devices could always be better spent elsewhere. 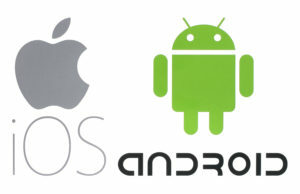 …And then do you standardize on iOS or Android? Either way, a significant percentage of your user base is inconvenienced. Allowing BYOD suddenly seems like an appealing approach. “The user experience is different across IOS and Android but what is key is we support both and we go to great lengths to make sure that the user experience is either as similar as what it would be on the native applications or in most cases try to make it better,” said Brian Egenrieder, CRO of SyncDog. SyncDog is the leading ISV for building mobile IT frameworks that extend enterprise app functionality to mobile devices while securing networks from mobile-endpoint threat. SyncDog Secure.Systems™ delivers an unimpeded, fully-functional mobile app experience that supports Microsoft OneDrive, Office 365, Skype for Business, and other Microsoft productivity apps within a NIST-certified, FIPS 140-2 containerized workspace. 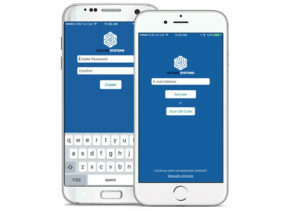 The Secure.Systems™ mobile-app container is ideal for organizations that want to deliver a rich mobile app experience across BYOD, CYOD, or other device policy. Secure.Systems™ can be deployed as managed service from https://secure.systems or as an on-premise solution.